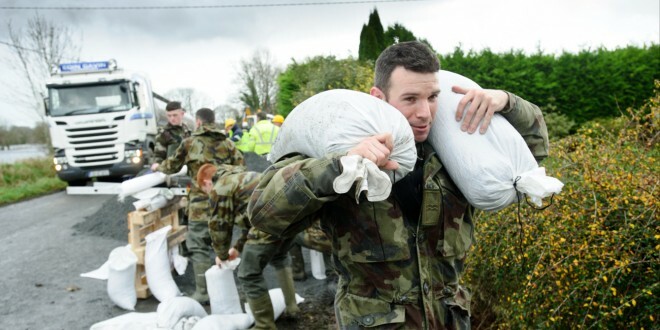 THE new Government has been urged to put in place an accessible compensation package to enable residents in South-East Clare restore their flood-hit properties. A local Sinn Féin activist has also called on the new administration to ensure that insurance companies will not be allowed to abdicate their responsibilities by compensating householders who have the necessary policy in place and should continue to give them cover in the future. In a wide-ranging address to the Sinn Féin Ard Fheis on Saturday, Margaret O’Connor claimed several insurance companies are now refusing to cover people in entire regions because they are what has been described as “designated flood zones”, even though they have never been flooded or are never likely to be flooded. Prior to the Sinn Féin Ard Fheis, the East Clare cumann member spoke to members of the Quinlivan family in Springfield, Clonlara, who are only getting back on their feet with much work on their house still to be completed, including replacing floors and repainting their entire house. In Clonlara, Geraldine and Joe Quinlivan had to travel a mile by boat to get to their home during the flooding. While Fine Gael and Fianna Fáil are still negotiating about the formation of a Fine Gael minority government, Ms O’Connor noted residents in Springfield are pressing Clare County Council and the OPW to find solutions and a number of these are being considered. Ms O’Connor outlined that the problem of organising a co-ordinated response to flooding in the Shannon Region is aggravated by the numerous bodies and agencies that currently have statutory authority for the river. “The River Shannon Management Agency Bill devised by Sinn Féin, which was defeated in the Dáil, would have provided for a single agency with a strong legislative basis to plan the management of the river. The agency would be responsible for the assessment and management of flood risk and flood defences, for co-ordinating the work of key stakeholders in the region and for preparing a strategic plan for management of the River Shannon. She told the delegates that she lives in O’Briensbridge, which is situated about half a mile downstream from the Parteen Dam or Weir. When water is released from the dam, the entire surrounding lands are covered in water.